LOL!Your avatar says that too!LOOOOL! You have no idea how awesome it is to see real media updates. Nice to see an update. Hope this means more! This old test chamber actually looks awesome. I gotta ask, where are you guys getting your reference from? There was a leak a long while back. Map file? Or Hammer screenshot (like Sample and c3a2a)? It looks good, I am happy that the mod is "Still Alive". Awsome! Great seeing an update from you guys since it's been so long! man we sure ****** up this time. Oh **** is that guy dead??? anyways great to see an update!!! Good news ! Bring it ! In response to the question in the description, I'd definitely like to see how they implement the Kingpin's PSI or Mr. Friendly's...uhhh....attack. There's no doubt I would love to see the Minigun as a weapon or maybe the black hole gun from the concept art. You've got my download on release, hands down. Awesome that tundra is taking the time to Work on both a mod and at gearbox at the same time. Thats taking alot of patience right there! Nice to see there's still some progress going on. Awesome! But replace gluon gun. Why minused my comment? 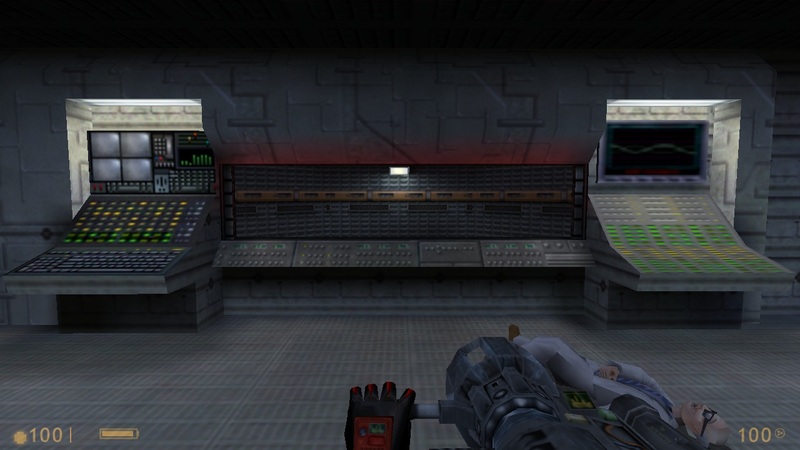 Gluon Gun here is fake, it was made from retail textures and Tau Cannon textures. Original model was found a month ago. Link to it/it's photo please. THANK F***ING GOD IT'S ALIVE! IT COSTS $400,000 TO PLAY THIS MOD FOR 12 SECONDS. IT'S ALIIIIIIIIIIIIIVE!!! !It's been a looooooong time,how have you been? It's alive! Thank God. I'm tracking this now because well i was pretty excited for this! um.....this photo is 1 year old, just reminding you. Quiver, you're alive! Thank God for your hard work at this mod. I'm afraid to let this mod die on it's own, and we can't wait!. Please, get to the finish as soon as you can, and let anyone know that this mod is finished and will be released. You'll need to complete this mod. I'm sure the rest of the community will gladly try out this mod. Stuka bats, HW grunts, c2a2i, floaters, trains, large medkits, crates, scientist puzzles, an oxygen meter, the old lobby which is now t0a0d? Oh, boy, what's next on the list?